The Amerman Tree (right), Memorial Day weekend, 2012. During a tournament one year, I used a very bad word to curse a former member of my club. It was nothing personal. I’d hit a weak banana from the tee, and my line to the green was now blocked by the Amerman Tree, which memorializes a deceased past president of the board of governors. I never knew Mr. Amerman, but I curse him every time I slice a drive into the steadily expanding circumference of his memory. 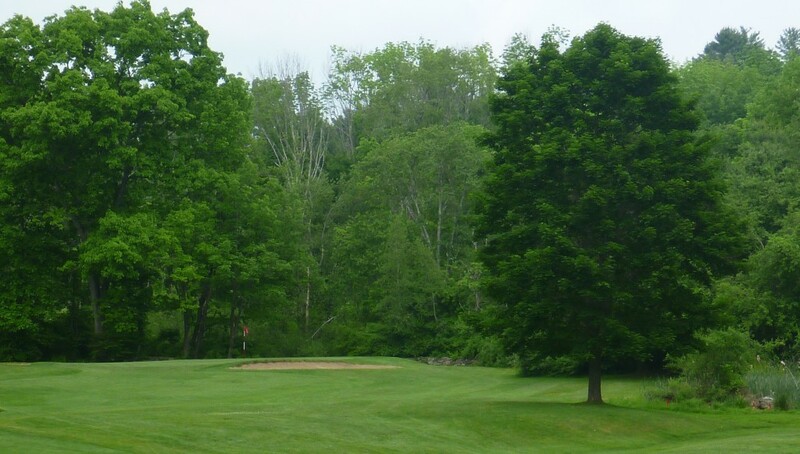 As I punched my ball sideways into the fairway that day, it occurred to me that planting a tree in the line of play is a terrible way to honor a dearly departed member. Golfers don’t really even like trees, except in the abstract. 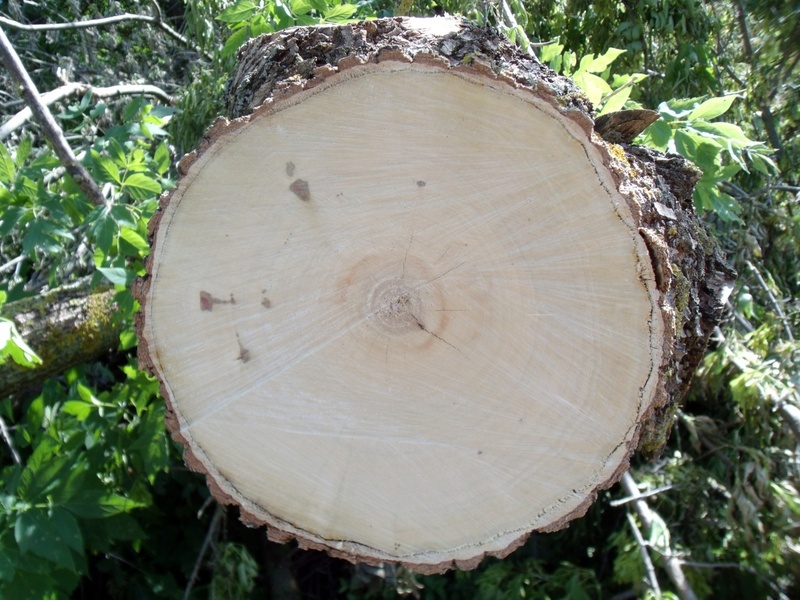 A memorial maple may seem like a fitting monument on the day it’s planted, but once its trunk has grown thick enough to stand straight without being staked it begins to grate on the nerves of the survivors. 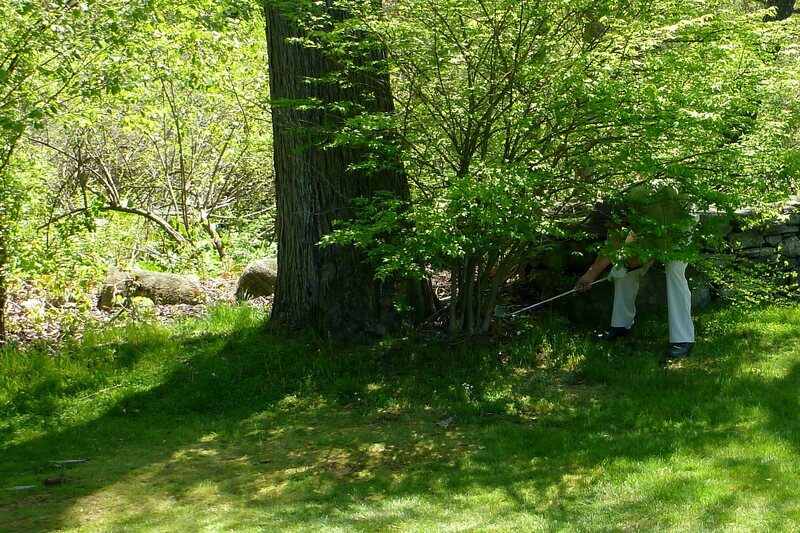 Golfers don't really even like trees, except in the abstract. That's Howard behind the first green. There’s a better way: Instead of honoring the dead by creating annoyances in their behalf, why not remember them with golf balls? Most golf shops sell thousands every season. What if each one were imprinted with the name of a member who had died the year before? You’d think of him every time you played. If his name was long enough, you’d use it to line up putts. On your trip to Scotland in July, you’d launch a few into the whins in his honor. As each summer slipped away, your club’s supply of memorial balls would gradually disperse itself: into the weeds, into the trees, over the walls, around the world. The following spring, your golf shop would be stocked again, with balls bearing new names—but the previous year’s batch would keep turning up for decades, the way old golf balls always do. They’d materialize in shag bags. Caddies would find them in the woods. Old-timers would retrieve them from the pond. A new member would step on one in the fescue near the pump house and ask about the name. This entry was posted in Accessories, Tour Players and tagged golf balls, Memorial Day, memorial tree, Titanic Thompson by David Owen. Bookmark the permalink. Lost my BEST friend and golfing buddy, Will Johnson, 12/8/2011 at the age of 46. A round of golf hasn’t been the same without him this season. This will be a great way to remember him when I tee it up from now on. Thanks for the great idea!